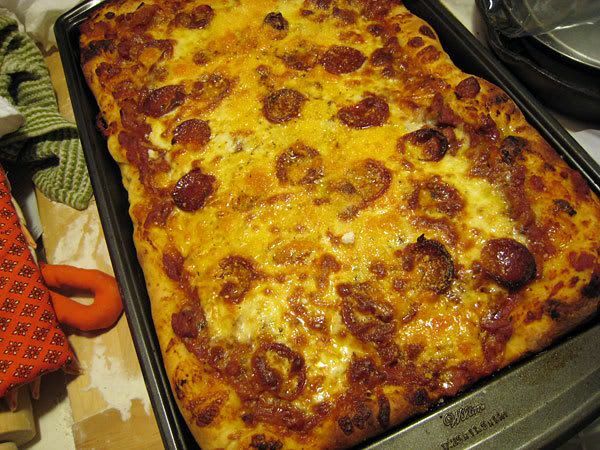 I put the sauce on top, some mozzarella, oregano, pepperoni from Vermont Smoke & Cure that I cut up, some cheddar and a sprinkling of Parmesan. I also added olive oil to the bottom of the pan and drizzled some on top when it was done. Now I get to have it for lunch today! In "cheese", "food", "pepperoni", "pizza", "recipes"